One Owner, Low Mileage Bike. A Meticulously Maintained, Rarely Ridden Machine. Ohlins Suspension Front and Rear. 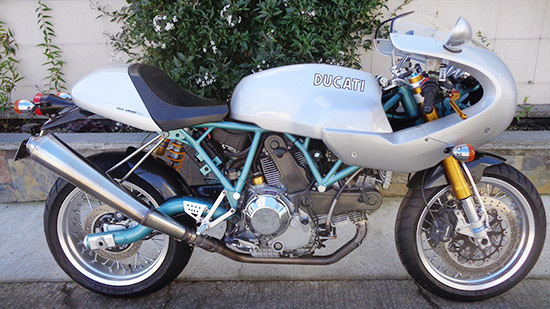 Factory Ducati Performance Muffler and ECU. A Fine Tuned, Clean Example. Perfect for Collectors and Enthusiast Alike. Number 16 Factory Full Fairings Included in the Sell. Just Serviced with Belts. 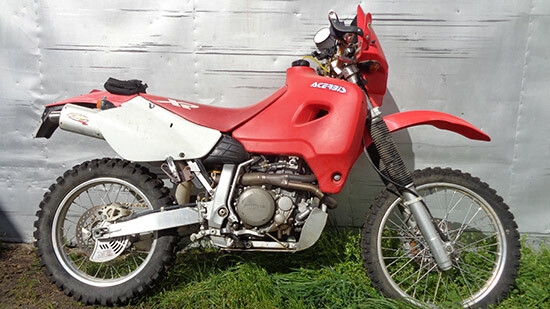 Rare and Collectable Production Race Bike! The Original Over the Counter Classic Racer. 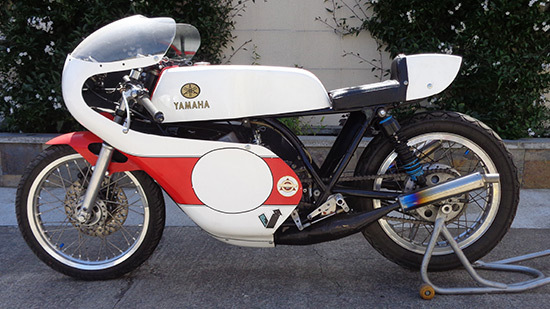 A Very Nice Example of a Ready to Race 6 Speed 250cc 2-Stroke. Claimed 49HP at 10,500RPM. Last campaigned with Ahrma 6 years ago at Willow Springs. Completely Safety Wired, Fresh Tires and Rear Stand. Just waiting for the right Avid Racer or Collector. 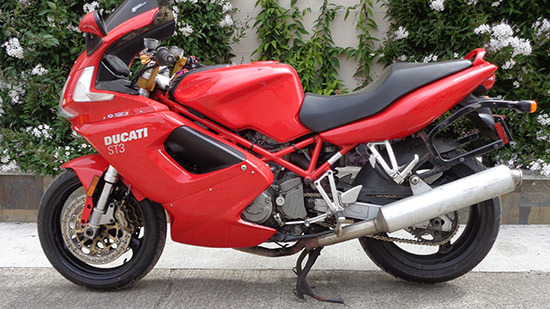 Ducati's SOHC Three-Valve Sport Touring Bike. A Incredible Combination of Style, Performance and Comfort. Competent on both the Highway or your favorite Back Road. Adult Owned and Mechanically Maintained. Helibar Risers, Factory Hard Bags, CRG Levers, Zero Gravity Tall Windshield and Sergeant Seat. Ready to Ride. 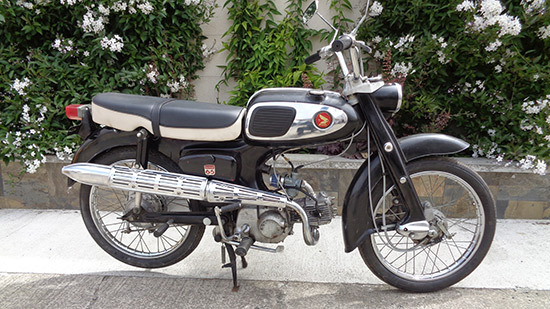 Small and Approachable, the shy little Honda S65 embodies everything that makes up a classic 1960s Honda motorcycle. Dependable with Great Personality. Fresh Top End Rebuild with New Piston, Valves and Guide. Easy Starting and Ready to Ride. Fully Functioning all Original Example. 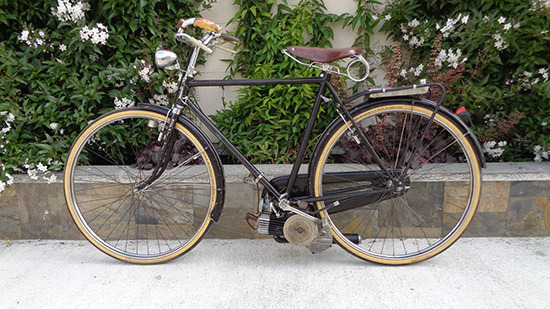 Bianchi Bicycle with a Bolt-on 48cc Italian 2-Stroke Engine. A combination of both Italian Style and Ingenuity. Not for the faint of heart. A Conversation Piece that would look Great in Any Collection. Adult owned and maintained. Plated and street legal. 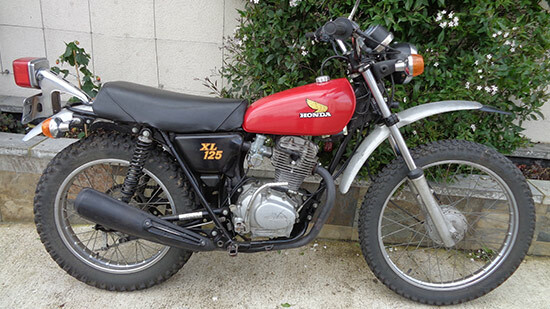 Very Clean, All Original Classic 70's Enduro. Great as an Investment or Daily Economical Ride. Recent Service with Tires and Chain. Easy Starting and Ready to Ride Anywhere. Low Maintenance, Reliable 4-Stroke Engine. Original Owners Manual and Period Literature. Adult Owned and Maintained. Plated and Street Legal. Scott's Steering Dampener. Billet Triple Clamp. Pro Taper Bars. Pro End Hand Guards. Baja Designs Lighting Kit. Large, Acerbis Desert Tank. Power Bomb Header. FMF Muffler. 6,267 miles on Race Built Engine. Race Tuned Suspension. Good Rubber, Chain and Sprockets. Ready to Go! *Due to growth and space limitations. The Zen House is now limiting it's number of consignment motorcycles. 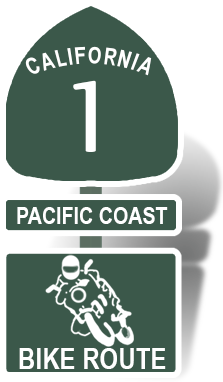 Only motorcycles serviced regularly at the Zen House will be considered for consignment. In addition to rare and collectible motorcycles, the Zen House will consign street legal dual sport motorcycles and small dirt bikes. Finally, all consignment motorcycles must be priced to sell.